Tottenham: Vorm (5), Trippier (6), Alderweireld (5), Vertonghen (5), Rose (6), Dier (5), Dembele (6), Winks (6), Eriksen (5), Moura (6), Kane (5). Subs: Son (5), Lamela (6), Wanyama (n/a). 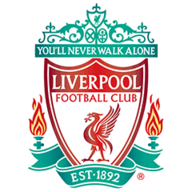 Liverpool: Alisson (7), Alexander-Arnold (7), Gomez (8), Van Dijk (8), Robertson (7), Wijnaldum (8), Milner (8), Keita (7), Mane (6), Salah (6), Firmino (8). Subs: Henderson (6), Sturridge (5), Matip (n/a). 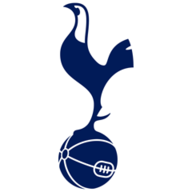 However Spurs, who looked to be carrying a hangover from their defeat at Watford, were left off the hook when the effort was ruled out, with the offside Firmino adjudged to have interfered in play. Spurs' lethargic start continued as a misplaced Eric Dier pass was pounced upon by Mohamed Salah on 22 minutes. He streaked clear but was prevented from breaking the deadlock by a fine save by Vorm. Christian Eriksen registered Tottenham's first attempt on target just before the half hour with a whipped 18-yard free-kick, but Alisson, a bystander until that point, was up to the task. That kicked Spurs into gear as they finished the stronger of the two sides, but Liverpool continued to pose the greater threat in front of goal, Mane drawing Vorm into action at full stretch after bundling his way into the area. A minute later, though, Liverpool broke the deadlock through the most unlikely of sources as Wijnaldum's looping header crossed the line before Vorm hooked it away, handing the Dutchman his first goal away from home in the English top flight at the 112th attempt. Liverpool maintained their momentum in a pulsating start to the second half. Andy Robertson struck the bar with a cross-come shot and a dipping Naby Keita volley drew another decent stop from Vorm, before a flowing counter ended with Mane swivelling and testing the Spurs stopper. Lucas Moura led the Spurs fightback but he could only strike the base of the post on 50 minutes - four minutes later, Liverpool had doubled their lead. Harry Winks was the surprise Tottenham inclusion as he made his first Premier League start since December 16, replacing the injured Dele Alli. Michel Vorm started in goal in Hugo Lloris’ absence, while Eric Dier and Danny Rose were recalled to the starting line-up. For Liverpool there was just one change as Naby Keita replaced Jordan Henderson. Mane's low cross deflected onto the post off Toby Alderweireld, the ball rolled across the goal line and through the clutches of Vorm, presenting Firmino with the simplest of tap-ins. Liverpool should have finished the game off when Firmino released Mane through on goal on 63 minutes, but the Senegalese hesitated before playing Keita in on the overlap, allowing Vorm to save the midfielder's drive. But in the end the third was not necessary, despite Lamela becoming only the second player to score against Liverpool with his late consolation from a narrow angle. Tottenham v Liverpool is now the highest scoring fixture in Premier League history (152 goals). Tottenham have lost consecutive Premier League games for the first time since the final two games of the 2015-16 season. Liverpool have won their opening five games of a top-flight season for only the third time, after 1978-79 and 1990-91. Liverpool midfielder Georginio Wijnaldum's opener was the 19th Premier League goal of his career but the first to come in an away game. Georginio Wijnaldum's goal for Liverpool came via his 55th shot attempted in away Premier League games. Roberto Firmino has been directly involved in 61 Premier League goals for Liverpool under Jurgen Klopp (38 goals, 23 assists), 16 more than any other player. Tottenham faced 10 shots on target in a Premier League home game for the first time since January 2014 vs Manchester City. Christian Eriksen's assist for Erik Lamela's goal was his 50th in the Premier League, making him the second player to reach that milestone for Spurs (Darren Anderton, 67). 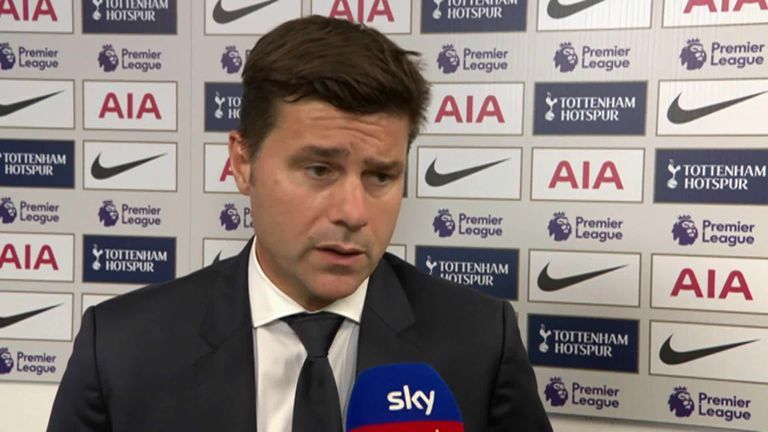 Mauricio Pochettino: "They were better, we competed, and we were close. Disappointed with the result but we need to keep working and improving. I am relaxed, I'm not worried. My confidence in these players is 200 per cent, not 100 per cent, 200 per cent." 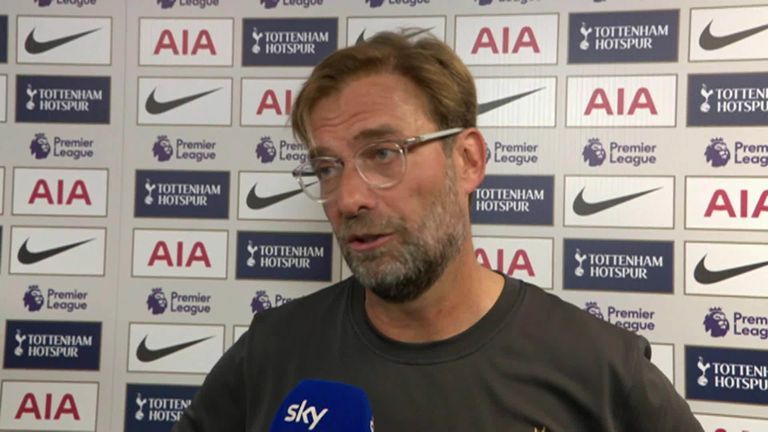 Jurgen Klopp: "It was very good. It was a very intense job and the boys did it. It was a deserved win. Over 85 minutes we were dominant. That was our best game of the season. Football as it should be. If we win at Tottenham it's a big result. I'm really proud of them." It was another industrious performance from Liverpool's captain, who just edged out Joe Gomez, Virgil van Dijk and Firmino to the award. 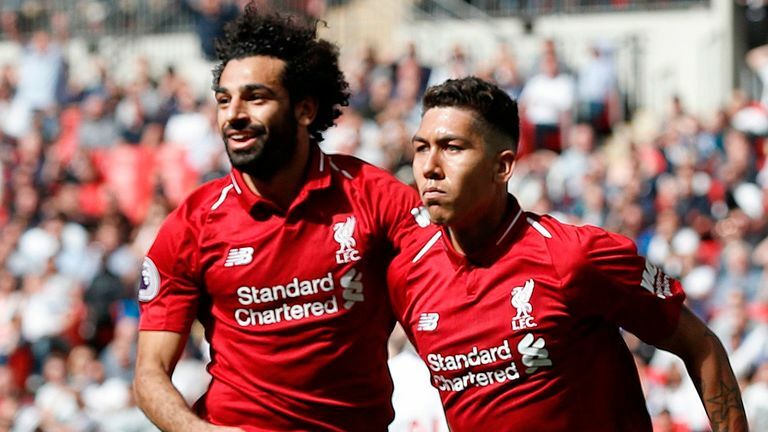 Milner is the wise head in this exhilarating Liverpool side and his game management and awareness throughout proved key, cutting the supply line to the Spurs attack by suffocating Eriksen, Winks and Dembele in midfield. Both sides kick off their Champions League campaigns before resuming in the Premier League. Tottenham travel to Inter Milan and Liverpool host PSG on Tuesday before Spurs make the trip to Brighton in Saturday's tea-time kick-off and Liverpool welcome Southampton to Anfield on Saturday at 3pm.